The Difference Between Laserfiche Mobile and Client? Laserfiche Mobile and the Laserfiche Client are two powerful platforms that increase organizational productivity in distinct, yet complementary ways. 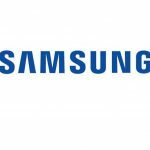 Here is an overview of the unique features each product has to offer. 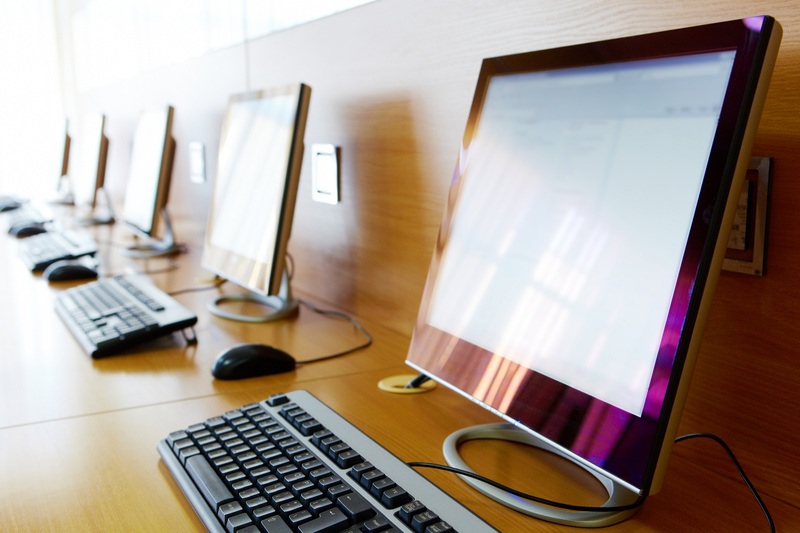 The Laserfiche Client is the gateway to an organization’s content, allowing users to optimize business processes, simplify records management and more. 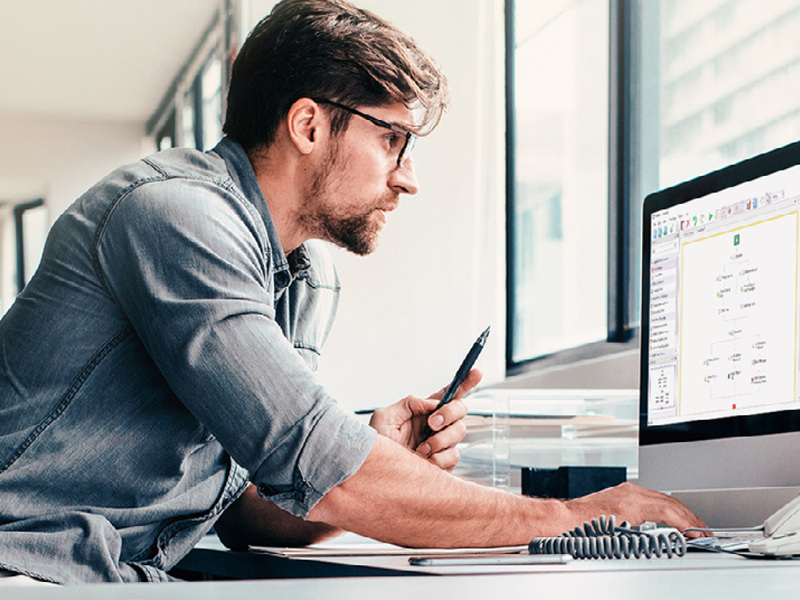 The Laserfiche Client combines the essential components of ECM into a powerful framework that improves information access and productivity across the enterprise. 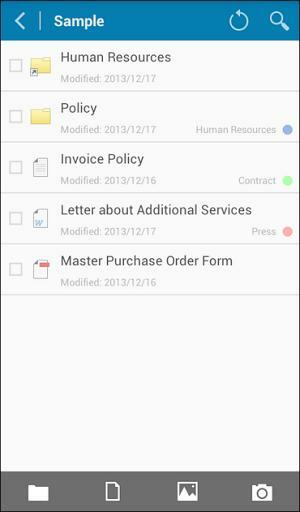 Laserfiche Mobile helps users easily search for documents throughout the repository while on the go. Laserfiche Mobile is an ideal tool for users seeking to leverage Laserfiche’s core capture, document retrieval and process participation features outside the office. For example, David is a case worker visiting a client in the field. He receives a request on his smartphone from his boss Joanna to squeeze in an additional house call that day. Pressed for time with a full plate of work, he uses the Laserfiche Mobile app on his phone to route the task to his coworker Renee to see if she can help. Renee receives the request on her tablet and agrees to pick up the extra work. 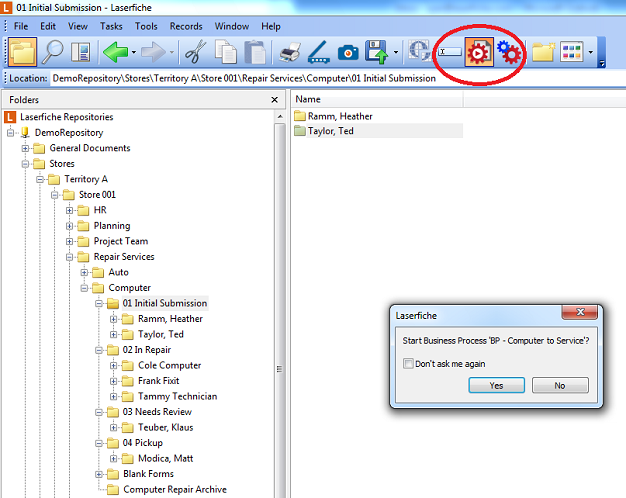 Once complete, the task is automatically saved to the appropriate folder of the repository so it can be found at a later date. Joanna, curious about David’s progress, generates a report about the process on her smartphone and is pleased to learn of Renee’s cooperation. Now that you know some of the key features that set Laserfiche Mobile and Laserfiche Client apart, it is also important to understand how the two work together. While the Laserfiche Client is the linchpin that holds together many information storage, process automation and compliance modules, Laserfiche Mobile complements the client by expanding core ECM efficiencies beyond an organization’s walls. Rather than thinking of the Laserfiche Client and Laserfiche Mobile as two separate systems, organizations should view them as logical extensions of one another to take full advantage of their capabilities. 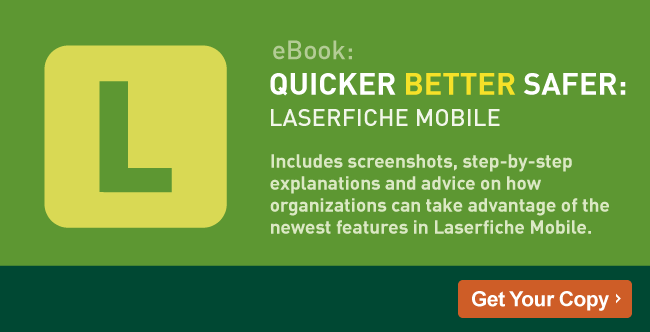 To see real-life examples of how Laserfiche Mobile and the Laserfiche Client work together, get your complimentary copy of Quicker Better Safer: Laserfiche Mobile.